In about two weeks' time, I will be on two weeks holiday in Australia and New Zealand. I've been to Australia for a couple of time and accommodation there already taken care of. However, it is my first time to New Zealand and I am happy to share that this will be the first time I will be staying in an Airbnb accommodation there. To be upfront, a few years back when I first heard about the Airbnb, I thought it is a great business idea but still very skeptical about the potential security/risk issue when staying in a complete stranger's house. However, after dive into their side further and learnt some of the positive personal experience from some of my friends and colleagues. I decided to try out their service for my New Zealand accommodation. The other reason is of course the hotel rates in New Zealand (Auckland) area is pretty steep (easily $180 to $200 per night, inclusive tax). So, here I am sharing my maiden experience in using the Airbnb App to do my booking. I will be sharing my actual staying experience (Part 2) after I come back from my tour. 1. 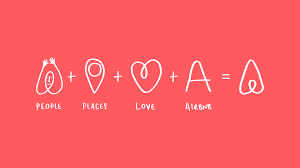 There are 3 types of Airbnb accommodations : Entire home/apartment ; Private Room or Shared Room. As the name implied, depending on your choice of privacy and make sure you read the offer properly before gotten into a rude shock in needing to share room with strangers. For me, I choose the Entire home/apartment for my NZ trip and I roughly paid $150 per night for the apartment. 3. There are two additional fees that you need to take into consideration i.e. the Service Fees (by Airbnb) which is non-refundable after your booking and the Cleaning Fees (refundable if the guest did not check-in). 4. Always clarify with the host first if you are in doubt about the accommodation. Airbnb provides a cool and seamless messaging tool (click on the "Contact Host" hyperlink of the listing to open up the messaging editor) for the potential customers to communicate with the host. Do take the advantage of it and make sure you have zero doubt about the place to ensure a higher chance of pleasant experience. So far, I have great experience in chatting with a few hosts. Stay tuned for the Part 2 of my Airbnb experience soon. Have you tried Airbnb before? What is your experience like? Have not tried Airbnb yet. Maybe in the future. It all depends on your Part 2. No pressure! Enjoy your trip and soak in the experiences. I tried Airbnb for my trip to Sydney last year. Besides the more affordable rates (at pretty awesome location too), it was really refreshing to see and actually live in their apartments! Did some cooking, too. We were slightly concerned about the safety aspect, and went with a property with MANY reviews just in case. Communication was effortless and the whole process didn't require us to meet the host physically at all. Hope that you have an awesome Airbnb experience! Ya, the price differences (compared to hotels) can be quite substantial. Will share my actual experience soon after I come back.